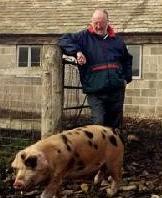 Farmer Brown to hold a metal detecting rally! If you get no reply, ask again. And again. This country is owed an answer. Meanwhile, I’m about to hold a detecting rally myself here in Shropshire using the Surrey Council Premise. Will the BM say well done Silas? 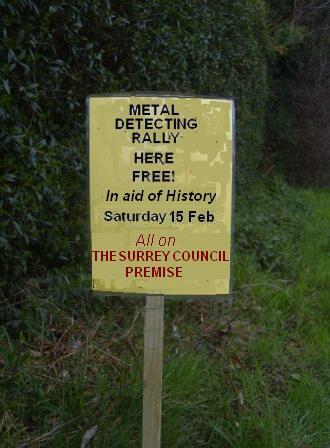 Will lots of detectorists turn up? Who knows? I’ll let you know. I dont detect rallies I prefer to detect alone if im honest. I dont like the though of rallies its to much of a free for all, there is to much rushing around and not enough care taken. However the scenario rally that you mention sounds good I would attend it. I hope you don’t mind Nigel but I have used this post as a link on my blog. Feel free to add to the debate. I have been involved with two projects that have been carried out on behalf of other organisations where all of the finds have been handed over at the end of the event. The object of the event was to recover items that were to be retained by the local museum as the site was being developed. As you point out, this is not the norm and more should be done to promote this form of detecting. I also think that a distinction should be made here though in relation to open “rallies” and club events. Rallies are a lot harder to control in relation to the standards that can be applied to the event…and that is one of the reasons why I don’t attend them. A small controlled club with the right attitude to recording and reporting is a more beneficial way of improving the standards. Best of luck with the “rally”… although I sadly fear that the take up will be low. Then isn’t it time the almost universal mantra “I only do it for the love of History” was dropped? How can there be effective outreach or discussion if there is an almost universal untruth being offered on the part of outreachees? If there is to be progress, as you clearly want, it can surely only be made by appealing to those who are truly only doing it for the love of history? Detectorists actually do it because they want the artefacts and while love of history may be entwined with that it often isn’t as artefacts can be valuable, whether kept, sold. or sold later. They resist the term artefact hunter because it goes to that reality and away from the “history lover” image that maximises their chance of getting permission to search – but they ARE artefact hunters – and once again the activity can’t be profitably discussed in any other terms IMO. If you say the notional attendance at Farmer Brown’s notional rally will be low it rather proves the point. The notional few who turn up are history lovers. The notional many who don’t are artefact hunters, discouraged by the fact it will yield them no artefacts. We’re getting loads of metal detectorist sockpuppetry. It must take quite a long time to construct these tomes but it only takes a tenth of a second to delete them. So once again: if you aren’t willing to support legal regulation of the activity in order to maximise the public’s benefit you have no place on a conservation website. Thanks. « Is The Heritage Journal unfit reading?